A twin-generational architectural studio combines a common sense of detail and a search for solutions that go beyond the original assignment. 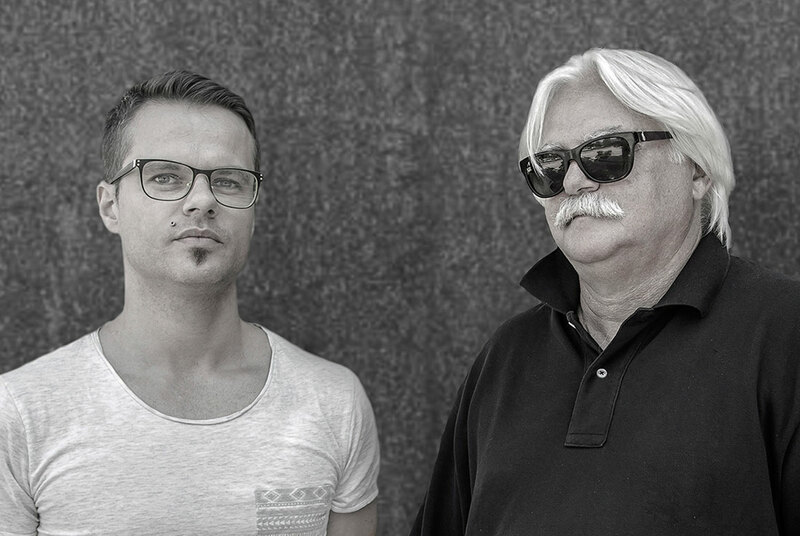 Peter Gonda (1981) began working with the professor Márius Zitňanský (1952) as a student at the Faculty of Architecture at Slovak Technical University. First they worked together for some time under the atelier of the A3A architects, although they preferred more focused work in a smaller team, they set out on their own. The work portfolio is dominated by Montex’s premises in Rovinka / Slovakia (author M.Žitňanský, cooperation P. Gonda), for which they received the CE.ZA.AR award, the ARCH Prize nomination and the national nomination of the European Mies van der Rohe Award. In mutual history, there are predominantly many victories in architectural competitions and works of various kinds, from scenography, interior design, family housing to larger development projects.